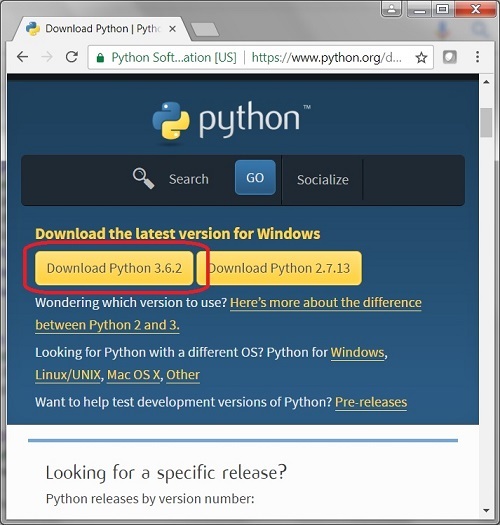 How to download the latest version of Python on my Windows computer? 1. Go to Python download Website. 2. Click the "Download Python 3.6.2" button. You see the download file save prompt. 3. Save the download file to your computer, for example \fyicenter\python-3.6.2.exe. By default, the downloaded file is the latest version of Python for 32-bit Windows systems.